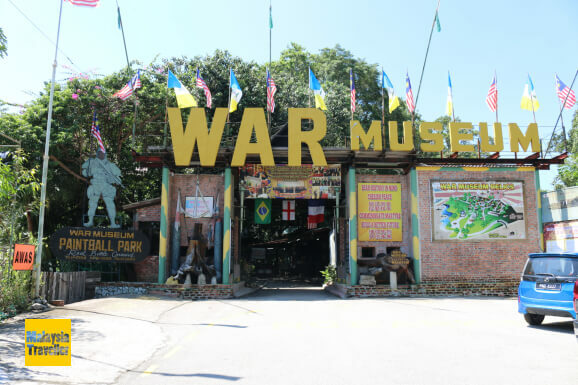 Penang War Museum is an outdoor living war museum which will appeal to fans of military history and anyone who had family members involved in the tragic events in South East Asia during World War Two. The entrance to the museum. As you can see, the museum now offers Paintball in an authentic battleground setting in order to broaden the appeal of the museum to a younger generation. 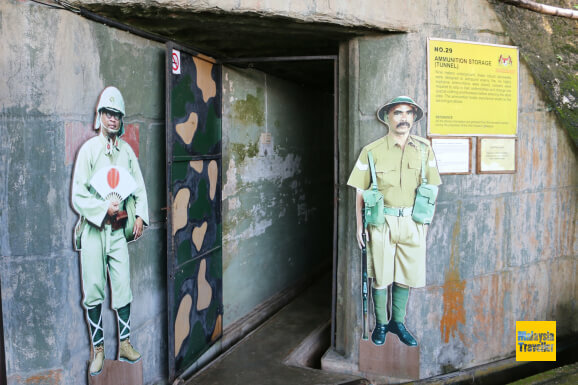 This sprawling museum is housed in a 20 acre site which was originally a coastal fortress and gun battery built by the British in the run up to the War to defend against Japanese invasion. Sadly, despite many acts of individual heroism, Britain's preparedness was inadequate to repel the Japanese who inflicted a stinging defeat on Britain's prestige and morale. 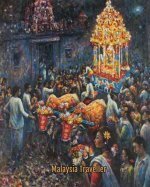 Under the brutal Japanese occupation which followed many Allied prisoners of war were harshly treated, tortured and executed while Malayan civilians also suffered terribly. Map showing the locations of 37 relics and points of interest in the museum. The footpaths are marked in red paint with arrows and numbers of the attractions for ease of getting around. Many of the underground tunnels, bunkers, pillboxes, gun batteries and defences built by the British have been restored by the museum's owners and visitors can get a good idea how life must have been for the soldiers serving here. 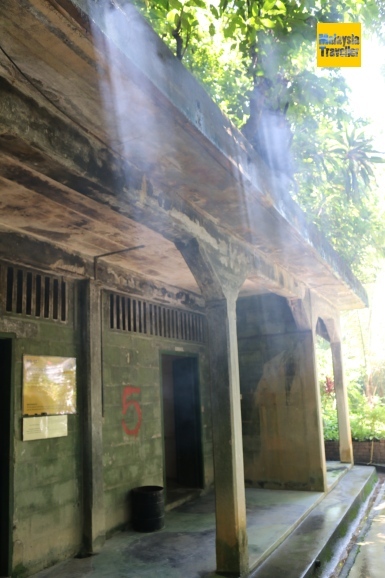 Also the barrack blocks where the British, Indian and Malay soldiers were housed, and later imprisoned, remain in good condition and now serve as exhibition space for the museum's collections. 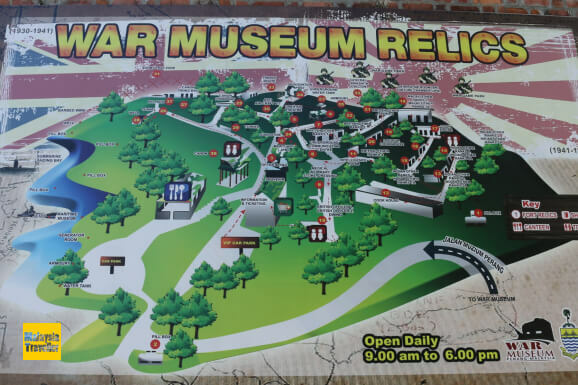 The museum was founded in 2002 by Mr. Johari Shafie who recognised the tourism potential of the former fortress which had been left abandoned and forgotten for almost 60 years. You can easily spend a couple of hours wandering around this complex. Here are some of the highlights. Entrance to one of the ammunition storage tunnels. 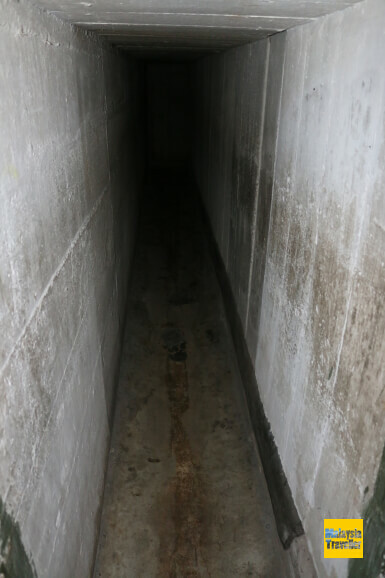 Fearless young boys and girls might like to explore these dark escape and shelter tunnels. 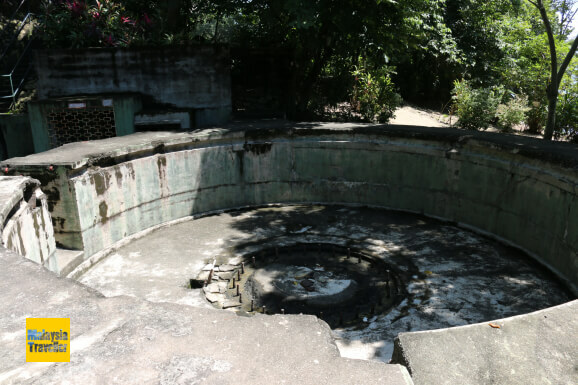 A 6 inch breech loading gun would have been housed in this concrete-protected gun firing bay. Being located on a hill top, the fort should have had a good view of approaching invaders. 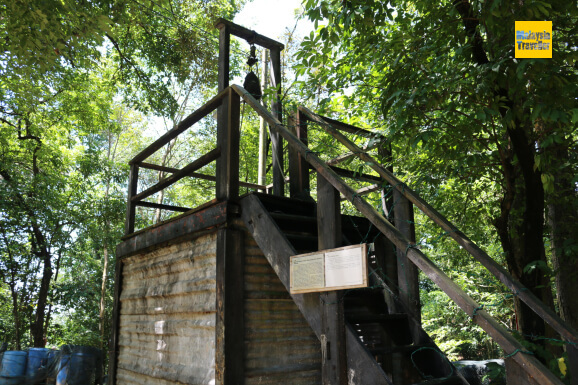 A replica of the gallows used for the execution of General Tomoyuki Yamashita for war crimes following his trial in the Philippines after the end of the war. 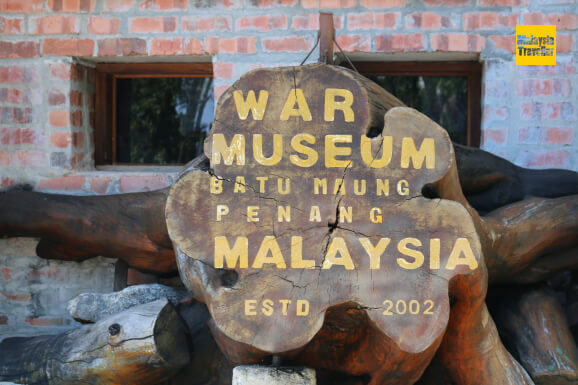 With all the deaths that took place here it is not surprising that Penang War Museum was in 2013 listed as one of the Top 10 Most Haunted Sites in Asia. 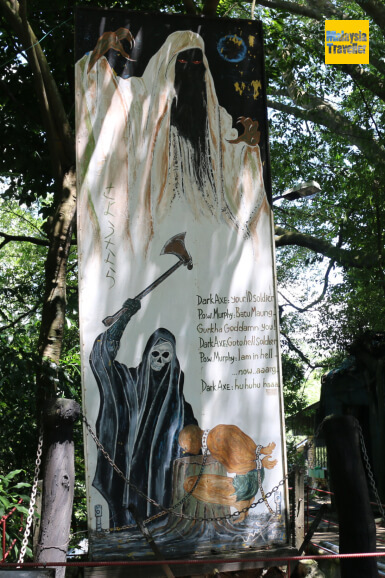 Night tours can be arranged for those who enjoy being scared out of their wits. 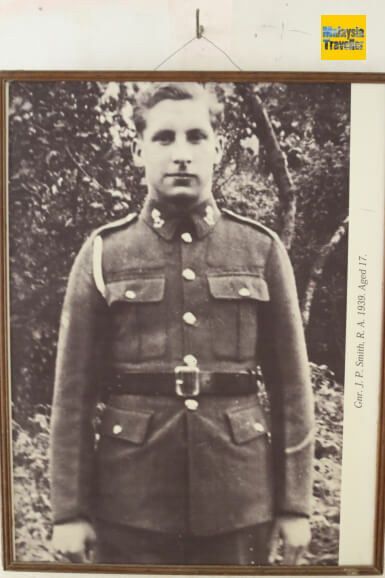 At the same time the museum is a sombre memorial to those who perished during the war and there are a number of touching tributes and photos left behind by relatives. British Indian Army troops played a significant role in the construction and defence of the fortress. The hill was sometimes called Bukit Punjab in recognition of this. Smoke rising from the cook house used by Indian Other Ranks creates a slightly eerie atmosphere. 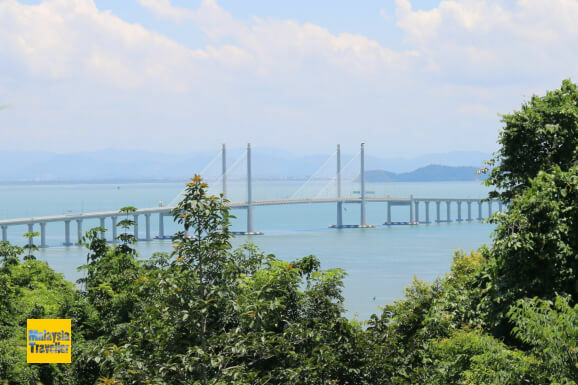 There is a good view of the Penang Second Bridge from the museum. Being located on prime seafront real estate, the museum is under threat from redevelopment and since this is a privately owned museum it may not enjoy protection from market forces. Tourists are encouraged to visit this museum so that it remains commercially viable, thus protecting this historic site for future generations. Very interesting and unique museum. One of Penang's top attractions. 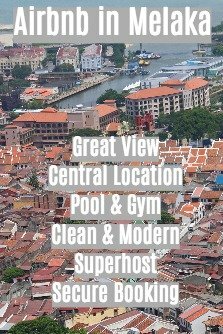 Contact 04-644 8015 / 04 626 4142 for more information.